It’s fun to make incense from scratch. It can be a home hobby, a holiday gift-making tradition, or even the beginnings of a home business related to “scentrepreneurship” as our affiliate The Sweet Smell of Success describes it. 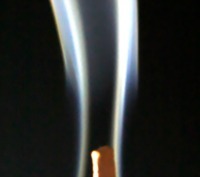 This article shows now to make your own incense that you can shape into cones if you choose. To make incense from scratch easily and quickly, use a substance called makko as the base. It can be ecologically harvested and comes from the bark of an Asian evergreen. With just powdered makko and warm water, you’ll have a great base binder for making incense. Makko powder is sometimes sold in bulk herb stores or health food stores, or can be ordered online from various sources including Mountain Rose Herbs. To this makko base, you add any dried or essential oil ingredients you want. Here is a beginner’s recipe for getting used to using makko and simple ingredients in the kitchen including cinnamon, cloves and cardamom. When making incense, remember scent lies in the nose of the beholder, so if this scent doesn’t do it for you, once you grasp the basic idea, the sky’s the limit for your experimentation, including herbs you grow on your own farm. Just try to keep the makko a little less than the total amount of other dry ingredients. 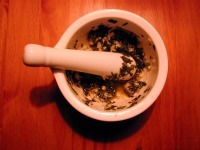 For example, 2 teaspoons of makko plus 3 teaspoons other dried spices or herbs. Mix 2 teaspoons of powdered makko, 1 & ½ teaspoons ground cinnamon, ½ teaspoon ground cloves, and 1 teaspoon cardamom into the mortar. Add warm water a few drops at a time, mixing thoroughly with each new amount. You want a soft, moldable, dough-like texture. Crumbly is too dry, so add more water. Sticky is too wet, so add more dry. Form mixture into cones that are flat on the bottom and about an inch high. Make the base around a half inch in diameter. Dry cones upright on wax paper until sides are dry, then lie them down so the bottom of the base can dry. Each area may take anywhere from hours to a few days to dry, so don't rush things. Burn and enjoy. If you feel there’s too much of one scent and not enough of another, you can grind the cones up again, adding new spices or herbs with a little more warm water. Never leave burning or smoldering objects unattended.